Dr. Joseph Kim has been named the new chief of surgical oncology for the UK Markey Cancer Center. 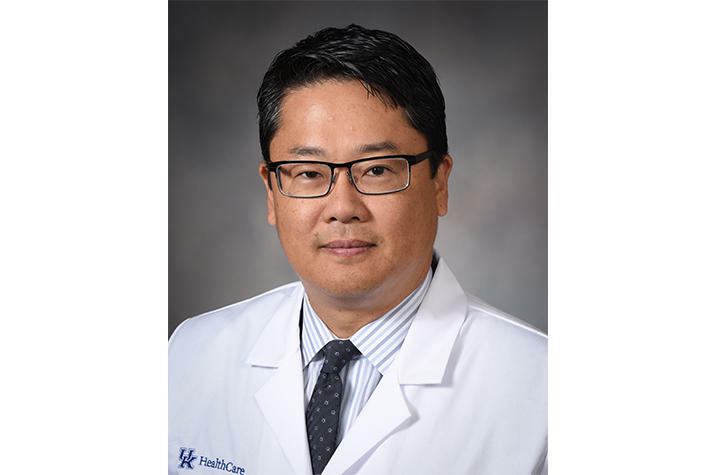 LEXINGTON, Ky. (Aug. 28, 2018) – The University of Kentucky Markey Cancer Center has named a new chief of surgical oncology. Dr. Joseph Kim is board certified in surgical oncology and specializes in the treatment of hepatobiliary and gastrointestinal cancers. Kim earned his medical degree from the Loyola University Chicago Stritch School of Medicine. He then completed a residency in general surgery at the University of Cincinnati College of Medicine. He completed a clinical and research fellowship in surgical oncology at the John Wayne Cancer Institute in Santa Monica, Calif. His experience also includes surgical oncology leadership roles at City of Hope in Duarte, Calif. and SUNY-Stony Brook, where he specialized in gastrointestinal cancers.